Welcome Savvy Event Planner Podcast Fans! My name is David Ranalli, I am a professional magician & corporate event entertainer, with a background in Public Relations. This page is here to serve as a quick action and organizational guide to help you get on a path to having better media. I credit my dedication to learning about websites, social media, and video editing to my ability to make a living as an entertainer. So if you’re finding the idea of constantly creating media for your business to be a bit stressful, this guide will you set yourself up for success as you move forward in gathering and sharing your accomplishments. Also, if you do not understand how a particular media works, don’t stress. In this day and age, you can either outsource the work to someone who does know. Or, you jump on Youtube and learn it. Chances are there is someone else who has had your question before, and made a very helpful video tutorial that teaches exactly what you need to know. These Ten Media Action Steps to improve your social media and website presence, and to post new content more consistently. This is about creating systems to keep going in an efficient way. If you are not organized with what you already have, then there is no way you can move forward in the future in an efficient manner. You also my have old materials that look great to share on your website or social media. Take action and get it out into the world. When you commit to deleting, organizing, and publishing what you may already have, you are also committing to making sure your electronics are properly filed. Make sure all hard drives have properly labeled folders, and are put together in an easily accessible way. Do not skip this step. A disorganized computer will keep you disorganized with future opportunities. Aside from keeping your existing media organized, you also need to make sure that you take advantage of all of the new opportunities in keeping your media organized. We have so many devices now; laptops, cell phones, tablets, wearables, etc. It is easy to capture images or video on your cell phone, and then later edit it on your lap top. There are many approaches you can take to keep your new media organized and in the same place through synchronization.I personally like to upload all new media to my Google Drive cloud account, and edit it on my macbook. Since programs like Google Drive and Dropbox can be synced on your computer and phone, it becomes much easier to edit it later, or send the files to an editor. There are an unlimited amount of social media and web networks today that you can publish content on. Do not try to master all of them. Not only will it be hard to keep up with, you will also fail to stand out in a substantial way. You will create a much bigger splash when you commit to just one or two.Now, I do believe that everyone needs to have a well put together website. That is your home, the one place where people can find it all. However, when you are deciding which social media platforms to commit to, pick the ones with features that highlight your business or style. Since I am an entertainer, I do my best to make as many new videos as I can for my Youtube Channel, but also upload the videos to my Facebook page. The Youtube community has fallen (from a growth stand point) in recent years, but Facebook’s is still rising. Therefore, I put more energy in to my Facebook following than Youtube. I also try to keep up my Instagram, as they are another platform that highlights what I do in a great way. I don’t see Snapchat or Pinterest as one that works well for me, so I don’t channel my energy there. But, that doesn’t mean those platforms won’t work for you. Try each one out, and then commit to what you can get the most results from. Create a list of stories, images, videos you think your audience would want to see. I’m big on lists and brainstorming. Since media is meant to communicate a specific message for an audience, this was yet another time I felt that it was necessary to organize my thoughts prior to getting started. Because of this, for each time I need to capture media, I already have all of the elements in my head. Most entertainers and directors have to do this as it is part of their job.However, people of all areas of business can benefit from trying to reverse engineer the themes or elements they want their audiences to see and absorb. I do my best to show images and videos of my adventures of going to live events. I also try to make videos of quick magic tricks. Think about what you think your audience would like to see, and keep a list handy to read over prior to going to a live event. If it is fresh in your mind, you can remember at the event to capture it. Depending on what your job is, it can be easy to forget to capture a photo or video of your work. Since it is my responsibility to be a featured face at an event, it can be easy to get distracted by so many elements of a live event. Therefore, I’ve put many notes to myself to ensure that I don’t forget to take certain photos or capture video testimonials. The more you create habits, the easier it will be later to make it second nature.You may also feel a bit self conscious taking selfies with celebrities or photos of your work. Don’t give in to that negative thinking. Push through, your business and online reputation depend on capturing that media. Since you’re smart and like to keep your media organized, you now have the ability to easily find a good piece of content to create and share. If you’re not good at editing, find someone to do it for you. You can easily find a good designer or video editor on sites like Upwork. I have all of my photos edited by someone else, but prefer to edit my own video. As life continues to get busy, I expect I will also be outsources the video editing as well. All of my media is available in Google Drive, and all of that content can be easily shared with a designer anywhere in the world. Once you have your content made, and possibly already edited, then you need to spread it around and have people see it. This is an art in itself. You can actually outsource this task to social media managers and ghost bloggers. However, do yourself a favor and take notes on people who effectively post content in a similar manner that you want to. This will help you not have to reinvent the wheel when trying to stand out in the news stream of your favorite social media site. It also helps to keep a spreadsheet of other blogs, Facebook pages & groups, etc. that would benefit from sharing your content. Become friends with the people behind these pages, and do something to help with their success as well. Having a networking of other content creators will help your content get shared and seen by more people. I personally try to get my local MPI chapters to share my content, along with other magic oriented blogs and pages. Most websites and social media platforms provide analytics and data to help you see how much your content is getting seen. I use Google Analytics for my website stats, and Facebook makes it extremely easy to see how many people have shared and liked my content. Reflecting on this data is boring, but it is crucial to keep moving forward and making sure that your efforts are creating results. Set goals and benchmarks. If finding yourself at a roadblock, figure it out and remedy it. Here is the basic system for having a great media presence: Create Media > Store Media > Edit Media > Publish Media > Ensure it Gets Seen > Rinse and Repeat.Since having good media at your disposal is important in a modern world, be realistic and set up achievable and actionable goals. If you find yourself not holding yourself to a publishing schedule, or not finding yourself achieving the goals you set out to create, then do some self reflection. Find out what could be blocking you. If you think this is a lot of effort for little results, then I encourage you to read this great article on the ROI of Social Media by Gary Vaynerchuk (a king of content creation). At the end of the day, your media won’t create itself. And not having good media at your disposal can keep you from future opportunities. Yes it can be a lot of work, but the key to making it easier to create systems and commit. 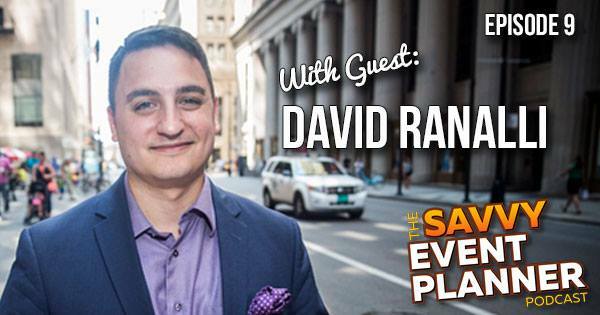 If you ever have any questions about media, or have a live event that needs entertainment, please contact me at (773) 245-6961, or at david@davidranalli.com.